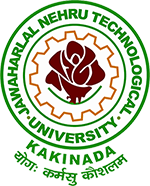 JNTUK Re-Revised B.Tech/B.Phar 1-1 Sem Supply End Examinations Fee Notification April 2016, jntu kakinada 1-1 smester end exams fee notification download 2016. JNTU Kakinada has announced B.tech and B.Pharmacy 1-1 Semester Supplementary End Examinations Fee Notification April 2016. * Applications are also admissible up-to one day before the Examination with a fine of Rs. 5000/- * (Application to be submitted at JNTUK Kakinada).